Many countries have abolished the death penalty because absolute judgments are not only irreversible but inhumane. Although progress has been made against the death penalty, with Burkina Faso abolishing it for "ordinary crimes" and Gambia declaring an official moratorium on executions, Amnesty International reported that numerous executions were still carried out in 2018. An annual review by Amnesty International of countries imposing the death penalty showed that a total of 2 531 death sentences were imposed in 54 countries in 2018. This was a decrease from 2 591 executions recorded worldwide in 2017. According to the review, Iran, Saudi Arabia, Vietnam, Iraq and China account for 78 per cent of total reported executions, with China being the world's top "executioner". Botswana, Sudan, Taiwan and Thailand also all resumed executions last year. One aspect of the inhumanity of the practice is the methods of execution. Despite the fact that there is no "humane" way to kill, the methods maintained and used across the world in 2018 are beheading, electrocution, hanging, lethal injection and shooting. Additionally, two new death sentences by stoning were known to have been imposed in Iran. The review goes on to elaborate that at least 98 executions were known to have been carried out for drug-related offences in four countries. This is 14% of the global total and down from 28% in 2017. "The dramatic global fall in executions proves that even the most unlikely countries are starting to change their ways and realise that the death penalty is not the answer," said Kumi Naidoo, Amnesty International's Secretary General. "Despite regressive steps from some, the number of executions carried out by several of the worst perpetrators has fallen significantly. This is a hopeful indication that it is only a matter of time before this cruel punishment is consigned to history, where it belongs." Egypt had its highest recorded number of executions, which increased from 35 in 2017 to 43 in 2018, while the recorded number of death sentences imposed increased to 717. Since 2014 there have been at least 2 000 death sentences under the administration of President Abdel Fattah al-Sisi. According to Amnesty International, most of these were related to incidents of political violence, after "unfair trials often based on 'confessions' obtained under torture and flawed police investigations". 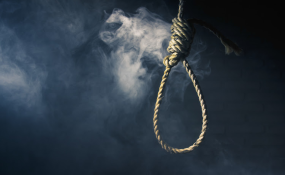 Botswana executed two people – actions that the country's president, Mokgweetsi Masisi, justified in March 2018, saying, "It is important to note that the death penalty is not imposed arbitrarily in Botswana. In short, the application of the death penalty follows a thorough and exhaustive legal process that meets the basic standards of a fair trial, and the penalty is imposed for the most serious crimes as understood under international law." South Sudan imposed at least eight death sentences and executed at least seven people, sources told Amnesty International. Four of the executions, including that of an individual known to have been under the age of 18 at the time of the crime, were carried out in Wau Central Prison between May and October 2018. Somalia witnessed a significant decrease in the number of executions, compared to 2017, when 24 executions were confirmed. In 2018, 13 executions were recorded. It is reported that all the executions and death sentences were carried out and imposed for murder and terrorism-related offences. Sudan executed two people for the first time since 2016 but imposed fewer death sentences, i.e. eight compared to 17 in 2017. However, former President Omar al-Bashir granted pardons to five death row prisoners who are members of the rebel Justice and Equality Movement, according to the Amnesty report. It is important that these countries and those that still impose the death penalty abolish this sentence or impose a moratorium on its application to completely end the notion of an "eye for an eye". Executions carried out as a result of the death penalty cannot be retracted, even if the person is found innocent thereafter. The death penalty also does not deter criminals, according to research and contrary to the widely held perception, plus it makes a public spectacle of an individual's death. The penalty therefore serves no legitimate purpose in decreasing crime. Because it is public, the cruel, inhuman and degrading nature of this punishment is only increased. The death penalty does not deter criminals, according to research. "All executions violate the right to life. Those carried out publicly are a gross affront to human dignity, which cannot be tolerated," said Hassiba Hadj Sahraoui, Amnesty International's Deputy Director for the Middle East and North Africa.